be patient with us, as we will be with you. Question 9: Is our low budget look deliberate? have to much pride to ask and if we can make even one person never feel like that again - then we win. Question 8: How as a Wallaby International Business Partner can I get top placement in the ad section? Answer: All of our products are proudly 100% made in the U.S.A. 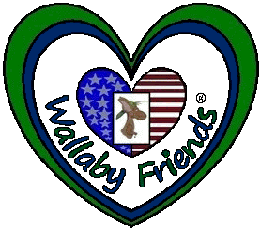 Question 7: Will the Wallaby Home-University ever be open? she can come and join him. So, she will finally be coming soon. Question 6: Does Cooper our mascot have a Family and Friends? Answer: Yes, we are working with several large resources to bring you the best home school experience you can have. So please be patient with us for that. Question 5: Where are all your products made? can't. The way we do it is first come, first serve and alphabetical order. This way gives everyone a fare and equal chance. Question 4: Why did you start this business? businesses we have rather then the over-all look. Question 3: Will we as businesses or customers be treated like numbers or people? Answer: We don't work in a set demographic, as we try to cater to everyone. We have something for kids, adults and everyone in between. Question 2: What is your demographic or what demographic do you work in? Answer: No we are not, we are a lot better then that and prefer not to be associated with those groups. Question 1: Is the Partners Program like every other discount program out there? We Get Asked As The Owners. Question 10: Businesses Ethics & Moral Value? to heart and built this business out of that.